Hot ringtones on Audiko.net! Use an opportunity to download a free FtoonTube ringtones for your iPhone or mobile. Choose your favorite section from your favorite music - مهرجان لقيت صاحب - فيلم عيال حرفه, مهرجان شد الفتيل فليم اوشن 14 دي جي كافوري, أدهم سليمان - إسمى / Adham Seliman - Esmy, or any other track. You are free to gain your ringtone both in the MP3 and m4a formats, played by both mobile phones and iPhones. 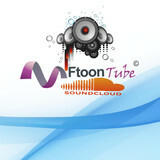 Just select a track, and choose free FtoonTube ringtones download option.